Their new album Come Alive is the release that was resonating best in all of the members of Radiate Worship. "Coming back to the sound where it all started was by far the best choice that we could ever have done". After an amazing experience with God in Martin’s and Anna’s life, “Trust” came to life, and went on to start something new in the band. 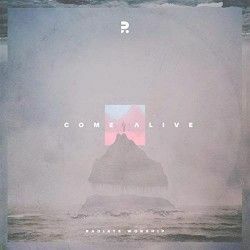 Despite putting out music for quite a few years, Radiate Worship is still not a familiar name even in European worship circles. They released their first album, "Radiate", back in 2009 and have sporadically released new material since then, including an EP, "Released", in 2015 and another full length album, "Resonance" in 2016. Now in 2019 they have a new album ready to go and this time they have the backing of the Dream Worship label so they are looking to take their music to a wider audience than ever before. The album opens with a gently building intro which ebbs away before the opening sounds of "Back To You". There is a synth and electro element to the backing before the strong and clear female lead vocal comes in. Lise Kongsvik Hagen has a great voice and the song is one that we can all relate to talking about all the day-to-day things that we get bogged down with in life, just the ordinary and mundane takes our focus away from God. When this happens we have to keep coming back to Him, but even when we struggle to do this there is the assurance that He is there with us. This whole track builds into a rocky EDM number with an echoey anthemic chorus which encourages you to join in with the noise that sounds like a stadium roar. This track is followed up by "Victorious" which looks at the victory won on the cross and the resurrection of Christ, a song that I believe would work well in a live or congregational setting when the worshippers can join together to celebrate Jesus victory. This track was originally released last February as a single. The title track is up next, with a more solid rock feel "Come Alive" has our first male vocal lead. This track talks about Jesus being our place of safety, but also with the catchy chorus, that it is in Him that we truly come alive. 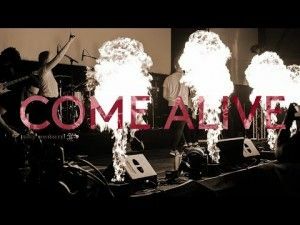 This is a strong song musically, and there has been much talk about moving the music back to where they started which is a rock worship, they have definitely come back to that for this song! "Never Let Me Go" has a much gentler vibe with Lise's vocal leading the way. This song sounds like something that might be released for older church children and wouldn't be out of place on one of Nick & Becky Drake's albums. I love the way that there is very little repetition through these tracks, and with this song in particular, because of the way that it is structured there is still time to reflect on the words. In this case it's about Jesus faithfulness to never let us go and reminds us that He gave up everything to save us. Loosely based on Psalm 91 is the track entitled "91" which again has a gentle pace and female vocal, the song builds through an guitar instrumental before picking up the vocals for the repeated chorus and bridge, and this really brings home the power of the promise of this song and psalm. The track "Constant" was rewritten completely in the recording studio from a track originally entitled "Closer". What we have ended up with is a strong song that picks up on something of the "Oceans" vibe but without replicating it. There is a constant pattern underneath this whole song which emphasises the constant nature of God's care for us. It's quite a simple track but it is effective and encouraging. Moving towards more of a dance opening is the "Distance" which is about wanting to draw closer to God and experience more of Him. The next track's title is, I feel, a little tongue-in-cheek as it refers to the popular text speak "OMG". This is normally slang for something you can't believe, here it is literally about something that is hard to believe, but actually is something that God has done, so saying "Oh, my God" is quite appropriate. This is quite a large sounding rock track, although there is an interesting cutaway in the middle where it drops to some simple electro notes and then things build up again with the vocal and eventually the anthemic chorus coming back before the guitars are brought back in. "Trust" see's the synths in full effect through the opening as the singer expresses those times we have all experienced when we don't feel God is with us, but we are assured that God is here. Sometimes we have to trust that God is with us, it becomes a matter of faith. Another track from this album that has already been released as a single is "Lionhearted", seeing us take up our cross and make a stand because we follow what Jesus did for us. This is a song that I could see working well at a big youth festival, they have even given it the crowd roar in the backing track. This is probably one of the best tracks on the album. The album finishes with another short instrumental entitled "Want My Heart". I am not sure if these guys consider themselves as a youth band, but there is certainly that vibe on a number of the tracks. There is a good mix between the electro-rock and dance tracks and the more gentle pop ballad type worship songs. The two key tracks on this album are definitely "Victorious" and "Lionhearted" but that is not to say that others aren't valuable statements about the faithfulness of God or lessons about our trust. There are times when they sound very much like something from Hillsong's Young & Free, with the instruments blended with electro-dance effects, it may not be the most unique but it is a powerful combination! The lyrics are kept succinct and on this studio album they haven't felt the need to put one or two lines into a constant repeat. I think I would love to see these guys getting the chance to represent at the summer youth festivals in the UK and the US this year because I believe they would resonate with them.